Spiritual aspirants often complain that they have been seekers for years but have yet to have any spiritual experience. A practitioner can complain only if he has put in the required effort. Perhaps if he introspects he may realize that he has not practiced meditation as was enjoined upon him. There is no shortcut to Spirituality. Shankaracharya says that however efﬁcacious a medicine may be, the disease Will not be cured just because the name of the medicine is uttered or the medicine is poured: It has to be taken as prescribed by the doctor to get the results. Likewise, the knowledge of methods and techniques of meditation is of no use unless the seeker puts it into practice. 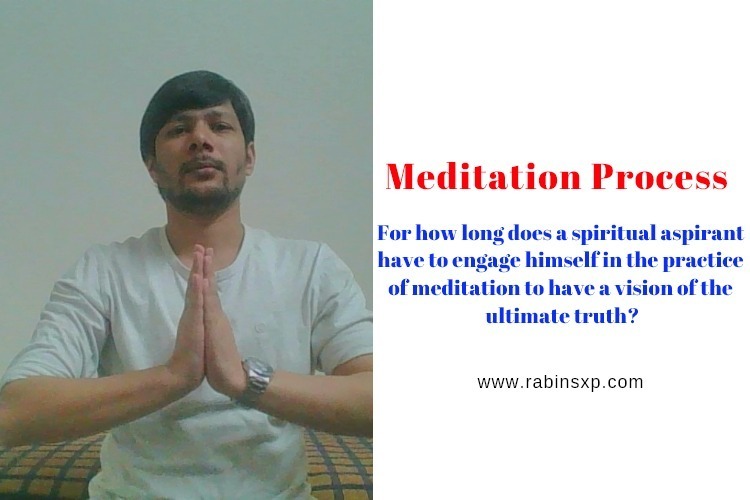 He should be regular in practicing meditation daily at a ﬁxed time for a ﬁxed period. Simply practicing meditation at an appointed time is not sufﬁcient. The practitioner has to live all the hours of the day in remembrance of the Lord. A stage must be reached in which meditation becomes as natural as breathing. Contact with a guru, listening to his talks and study of the scriptures are factors that help achieve success. Sincerity, regularity, and concentration, as well as never losing sight of the goal of human life, are the secrets of success in meditation. In the beginning, meditation may feel dull, dry, difﬁcult, monotonous, insipid and boring, but if an aspirant tries sincerely and devotedly, ignoring the negative feelings and aches and pains, he will start enjoying the process.